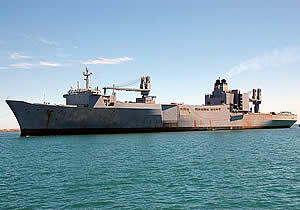 Cape Town is becoming a regular port of call for ships of the US Military Sealift Command, following a decision to divert vessels away from taking bunkers at Durban on account of delays. The US ships appear to have also begun avoiding Richards Bay, possibly for the same reason or because of problems with the delivery of the type of fuel required, but this has not been confirmed. 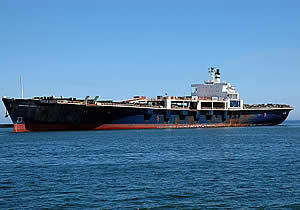 Three ships that called at Cape Town during January were (from top) USNS Northern Light (T-AKR 284), which arrived in port on 5 January 2005, followed by USNS Gordon on 6 January. 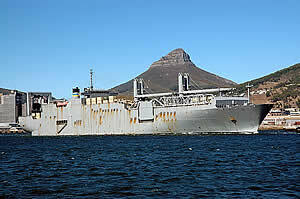 The third vessel USNS Pollux called last Friday, 21 January.